AEM – New High Volume Fuel Rail, Gauge Boot & Series 2 EMS! AEM introduces 08-10 SCION tC & xB high volume fuel rail, universal gauge boot & Series 2 EMS for NissanS (30-6600, 30-6601, 30-6602). AEM High Volume fuel rails feature a 1/2-inch fuel bore to support fuel flow for applications up to 1,000 horsepower. This large bore also dampens backpressure pulses created by larger injectors and works perfectly with stock injector sizes. An additional 1/8th NPT port is included to accommodate a nitrous set up or fuel pressure gauge. A custom fuel line fitting is included for the factory fuel line, and the ends of each rail are pre tapped to accept -6 AN or 9/16”x18 fittings for users who want to use custom fuel lines. 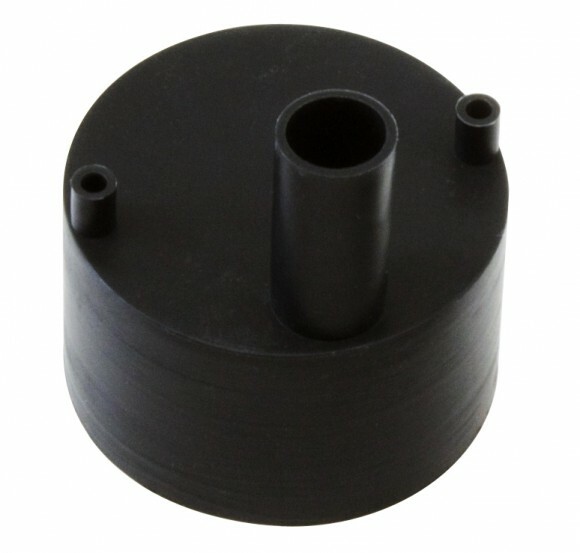 AEM’s Universal Gauge Boot acts like a wet suit or shower cap for any 52mm gauge. It is made of silicone and is designed to stretch onto the back virtually any 52mm gauge and keeps dust and water out of the back of the gauge… dust and weather proof when installed correctly – however, IT IS NOT WATER PROOF! 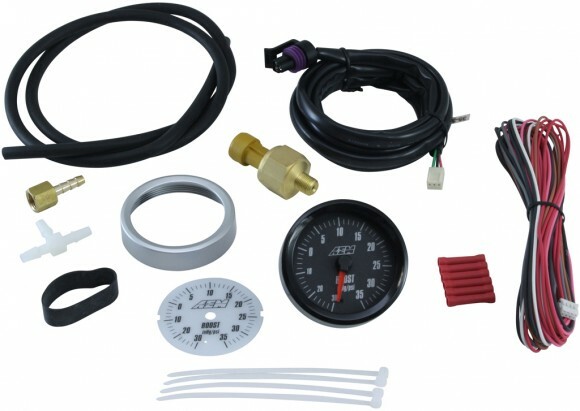 If you have a race car, off road truck, motorcycle, Ruckus, snowmobile, ATV or other vehicle that is in a muddy/dusty/snowy/weather exposed environment, you need to protect the back of your gauges. Even under the dash of a race car, the back of the gauge is exposed to dirt and dust, which can deteriorate the electronics in your gauge. Our gauge boot protects your gauges to maximize performance and longevity. AEM’s Series 2 Programmable Engine Management System is more powerful than its predecessor. In addition to more robust hardware, there are several improvements over the original EMS, noted in the chart below. Like its predecessor, AEM’s Series 2 Plug & Play EMS plugs directly into a vehicle’s factory ECU harness and requires no additional wiring or hardware. Windows™ compatible software (7,Vista & XP) makes the task of copying, viewing and manipulating data as simple as a click of the mouse. Our new AEMTUNER software is infinitely adjustable software and allows tuners to program virtually any combination of engine control, power adders and auxiliary devices, and accurately delivers proper amounts of fuel and correct ignition timing for any boost level or operating condition. AEM – New Pontiac G8 6.0L V8 Intake Tube! The Pontiac G8 is a performance sedan and replaced the Bonneville and Grand Prix in the Pontiac line-up. The G8 was actually manufactured by General Motors’ Australian subsidiary and is based on the Holden VE Commodore. Available in three trim levels, Sedan, GT, and GXP, the G8 is Pontiac’s first rear-wheel drive sedan since 1986. Unfortunately, the 2009 model year brought production of the G8 to an end as GM announced the discontinuation of the Pontiac brand. Although production of the G8 has ceased, AEM can appreciate the value of engineering a performance air intake system for this vehicle. The G8’s short production run is sure to make it an instant classic with performance enthusiasts and collectors. Owners of 2008 and 2009 Pontiac G8 models with a 6.0L V8 engine, can now increase their performance while also increasing under hood appeal with the choice of either a gray powder coated mandrel-bent aluminum intake tube (21-8027DC) or polished aluminum intake tube (21-8027DP). AEM engineers created a highly unique intake system for G8 6.0L models. Emissions equipment found inside the factory air box is becoming increasingly common. This means that removing the OE air box assembly has the potential to make a vehicle non-compliant with emissions regulations. To overcome this obstacle, AEM designers created a mandrel-bent aluminum air intake inlet tube for the G8 6.0L that retains the use of the factory air box assembly. Part numbers 21-8027DC and 21-8027DP eliminate the OE resonator chamber and accordion style factory inlet tube. The result is a smoother delivery of air to the engine, a sizeable increase in horsepower, and an intake that is street legal in all 50-states. AEM’s Research and Development Department tested a 2008 Pontiac G8 with a 6.0L V8 engine on our dynamometer. Results showed horsepower increases throughout the RPM range with a maximum horsepower gain of 6.67 horsepower @ 5,000 RPM! Installation of AEM’s performance air intake system for the Pontiac G8 6.0L is simple and relatively straightforward. 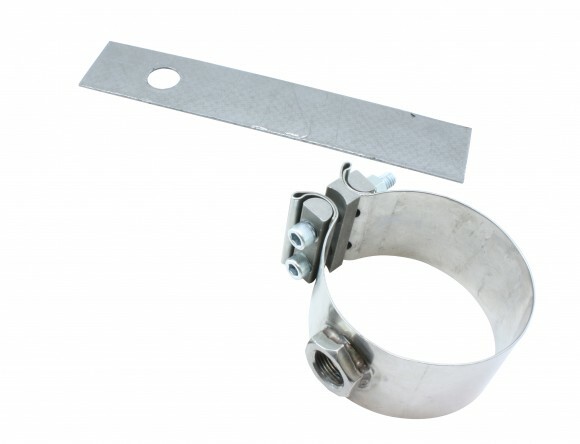 It requires no cutting or drilling and can be installed with common hand tools. Additionally, AEM warrants this intake system for the life of your vehicle. 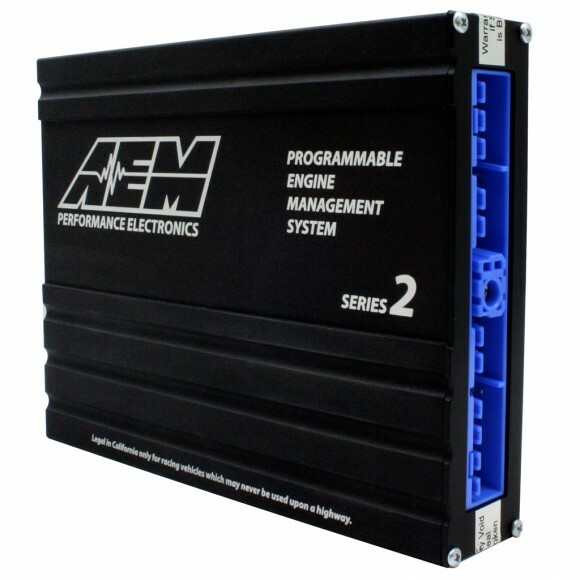 AEM – New EMS Series 2 Units! AEM’s Series 2 Programmable Engine Management System is more powerful than its predecessor. In addition to more robust hardware, there are several improvements over the original EMS, noted in the chart below. 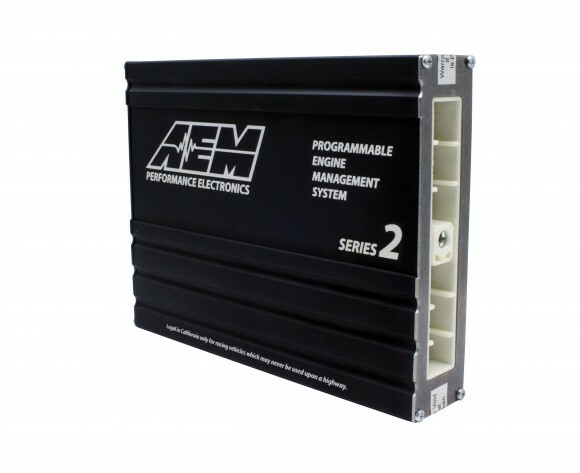 Like its predecessor, AEM’s Series 2 Plug & Play EMS plugs directly into a vehicle’s factory ECU harness and requires no additional wiring or hardware. Windows compatible software (XP, Vista, Windows7) makes the task of copying, viewing and manipulating data as simple as a click of the mouse. The new AEMTUNER software is infinitely adjustable software and allows tuners to program virtually any combination of engine control, power adders and auxiliary devices, and accurately delivers proper amounts of fuel and correct ignition timing for any boost level or operating condition. AEM – 2010 Camaro SS Cold Air Intake! The return of the Chevrolet Camaro in 2010 ends the eight-year hiatus by one of America’s classic muscle cars. Now in its fifth generation, the Camaro is packed with a phenomenal list of features. For the SS model, the Camaro is powered by the LS3 6.2-liter V8 engine, which produces 426 horsepower (six-speed manual transmission). The automatic transmission equipped Camaro SS is fitted with the L99 V8 engine producing 400 horsepower. To match the powerful engine of the Camaro, Chevrolet opted to outfit the SS with four-piston Brembo brakes along with the StabiliTrak Electronic Stability Control System with Traction Control. With a hefty list of performance-oriented features, the 2010 Camaro was clearly designed with the enthusiast in mind. Once AEM’s engineering department caught wind of the new Camaro, they also focused on offering an air intake system for the performance-oriented Camaro owner. For the 2010 Chevrolet Camaro SS with the 6.2-liter V8 engine, AEM introduces the 21-8029C Cold Air Intake System in Gunmetal Gray. In the design of the 21-8029C air intake system, AEM needed to work within the confines of the Camaro’s engine compartment. To do so, AEM engineers designed an inlet tube that would give a large volume of airflow with little added restriction. The end result would be a massive three-inch mandrel-bent inlet tube constructed from high-grade aluminum. The design calls for the inlet tube to route from the V8’s frontward-facing throttle body into the driver’s side wheel well. In addition to the mandrel-bent aluminum tube, AEM utilized the optimal location for a cool air source. In order for the DryFlow performance air filter to occupy this location, the Camaro’s windshield washer fluid reservoir had to replaced with a sleeker piece. To this end, AEM designed a washer fluid reservoir that would better accommodate the location. 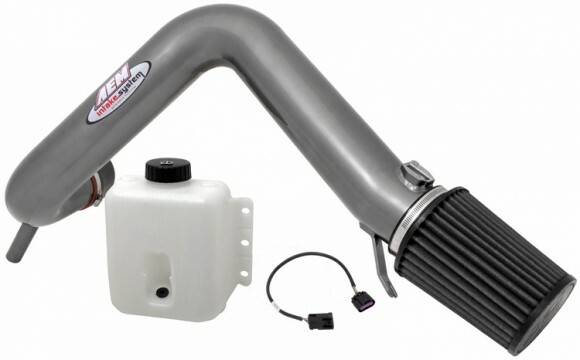 Each AEM 21-8029C air intake system comes complete with a new washer fluid reservoir and mounting bracket. On the dyno, the AEM 21-8029C Cold Air Intake System yielded impressive results. In factory form, the test vehicle generated a peak of 318.67 horsepower at the wheels. With the AEM 21-8029C cold air intake system in place, the Camaro’s peak power output jumped up to 325.98 horsepower at the wheels. A maximum gain of 16.53 horsepower at 4,200 RPM was also recorded with the AEM intake installed. The 21-8029C Cold Air Intake System for the Camaro uses a DryFlow Performance air filter. The DryFlow air filter has a three-inch inlet diameter that outflows the V8 engine’s requirements. The oil-free DryFlow technology is extremely durable and easy to clean. To further augment the filtration properties of the DryFlow performance filter, AEM also offers DryFlow Pre-Filters. Designed to prevent splashes of water and/or mud from saturating the DryFlow air filter, AEM’s Pre-Filters are manufactured from durable micro-screen materials that are pretreated with a proprietary hydrophobic process. AEM – New Interchangeable Bezel/Faceplate Analog and Digital Gauges! AEM introduces analog & digital gauges with interchangable black & white faceplates and black & silver bezels! Up to 12 gauge combinations in 1 box! AEM’s Analog Face Gauges offer quick and smooth needle movement that is easy to read in daylight and night. Each gauge offers a swept area of 320 degrees, resulting in the most resolution possible. All AEM analog gauges offer seven backlight colors, a black & silver bezel and a white & black faceplate to best match the interior of your vehicle. All wiring and sensors are included for easy installation. AEM’s Digital Gauges unites unsurpassed accuracy, speed and control with an easy to read, digital interface. The AEM digital gauge also offers a 0-5v analog output for use with data loggers and virtually any engine management system, such as the AEM EMS or FIC. 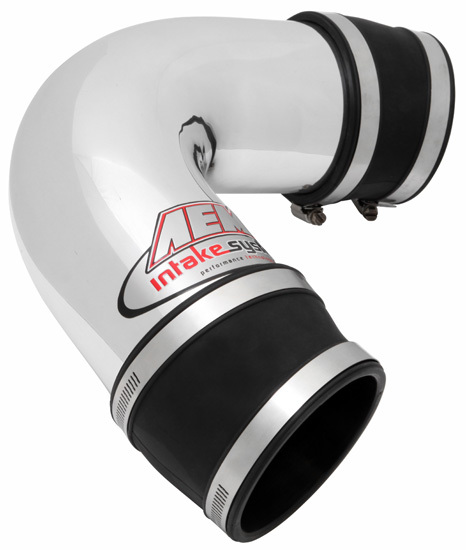 AEM – New Nissan 370Z ETI Intake System! Nissan Motors has created a legacy with its Z-car lineup of sports cars. The Z-car family of vehicles began in 1969 with the 240Z (AKA Fairlady Z in Japan) and has maintained its success with the current 370Z model. Now in its sixth generation of the sports car, Nissan has pushed the envelope of technological advancement with each successive model. The all-new 370Z incorporates outstanding advancements in both mechanical and electronic features alike. Powered by the 3.7-liter VQ37VHR dual-over-head-cam V6 engine, the 370Z generates an impressive 332 horsepower (at the flywheel) in stock form. This abundance of power is made possible by utilizing Nissan’s Variable Valve and Lift Control technology (VVEL). Nissan’s VVEL variable valve timing technology allows the VQ37 engine to be more efficient while improving response and power output at higher RPMs. In order to harness the power of the 370Z’s V6 engine, Nissan invested particular attention to the 370Z’s power delivery system. To transfer the power to the rear wheels, Nissan couples the powerful engine to either a 7-speed automatic transmission with paddle shifters, or a 6-speed manual transmission that features the first ever synchronized downshift rev-match system. When upgrading a vehicle such as the 370Z, enthusiasts expect a high caliber of technology from their performance parts as well. AEM has accomplished incredible technological advances with their Electronically Tuned Intake (ETI) technology. The great news for 370Z enthusiasts is that a new ETI Cold Air Intake System is now available for the 2009 Nissan 370Z (part number 41-1001P). 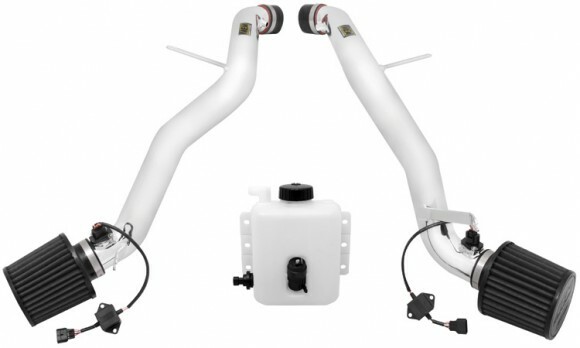 To match up to the VQ37’s dual throttle bodies, the 41-1001P is comprised of dual mandrel-bent aluminum inlet tubes. Each highly polished 2.75-inch inlet tube originates at the throttle body and routes to the left and right wheel wells. It is in the wheel wells that DryFlow performance air filters are mounted to each inlet tube. The oil-free DryFlow technology is very durable and easy to clean. To take the filtration properties of the DryFlow performance air filter even further, AEM offers Filter Wraps that are manufactured from durable micro-screen materials that are pretreated with a proprietary hydrophobic process. AEM filter wraps repel water splashes and extend the filters service life. For the 41-1001P air intake system, AEM Filter Wraps are available as a separate accessory (part number 1-4000). In order to clear enough space for the DryFlow air filters, AEM includes a custom designed windshield washer fluid reservoir with each 41-1001P air intake system. Each 370Z air intake system also includes two pre-programmed ETI modules. Both of the 370Z’s Mass Air Flow (MAF) sensors plug directly into an included ETI module, which are specifically programmed to read the proper air density data. The result is more horsepower and torque gains. In the case of the 370Z, the VQ37 engine responded well to AEM’s ETI technology. The 41-1001P cold air intake systems improve the 370Z’s power output from the stock baseline of 241 hp to a peak of 250 hp with the intake installed. In addition to enhancing the peak horsepower performance, a maximum gain of 9.67 horsepower was also recorded at 7,100 RPM during AEM’s testing. As seen on the dyno graph, a vast improvement is made from 6,600 RPM until the VQ37’s redline.